What a performance by Micheal Ferland on Sunday, who was everywhere and impacted the game in a gigantic way. In the process, he also caught the attention of Glen Gulutzan. "Outstanding," said the Flames coach. "He was physical when he could be physical and sometimes it's hard to be physical when you have the puck all night and you're making plays and you're in on the forecheck and playing with the puck. He did a little bit of everything for us." When Ferland plays like that -- lots of north-south, plenty of shoot-hit -- it's hard to envision him not being on the No. 1 line. When he's dialed in like that, watch out. Now that's the full meal deal. Going back to when the NHL first introduced hits as a statistic in 1997-98, it's only the second time a Flame has hit those numbers in a single game. On April 11, 1998, Cory Stillman had 1 goal, 5 shots and 8 hits against Edmonton. Of course, Stillman's big night was a rare highlight in a very bad season for the franchise. To jog your memory, that 1997-98 edition of the Flames had a points-percentage of .409, which remains the worst in franchise history, even worse than the expansion Atlanta Flames in 1972-73 (.417). Last night was the 23rd career game-winning goal for Sean Monahan, which moves him into seventh in franchise history. 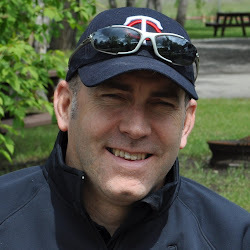 He's now one ahead of Al MacInnis, Kent Nilsson, Robert Reichel, Jim Peplinski and Daymond Langkow. Speaking of 23, that's also how old he is. That makes it all a bit mind-numbing. 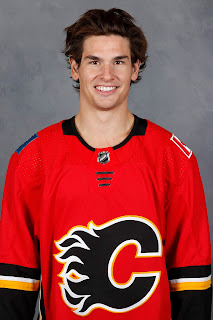 You really do tend to forget that Monahan just turned 23 less than three weeks ago. He could be top-five in franchise history by the end of the season. Of course, as a notable caveat, the presence of three-on-three overtime now is a notable factor one can't discount when looking at historical snapshots -- four of Monahan's game-winners have come since 3-on-3 overtime was introduced in 2015-16. But scoring in overtime doesn't diminish his reputation of being clutch, it will just skew how quickly he ascends the all-time list. If you want to go apples to apples in your comparisons, Monahan is also in good stead since breaking into the NHL in his draft year of 2013. To add to that, his eight overtime goals over that span tied him for No. 1 with Alex Ovechkin and Jeff Carter. Same old, same old. The Flames have now scored 27 goals on the season with a staggering 26 of them featuring at least one of Johnny Gaudreau, Monahan, or the 3M line in on the scoring. By that, I don't mean just on the ice, but I mean either getting the goal itself or assisting on it. The only goal that was Fab Five-free was the shorthanded goal in Vancouver on Oct. 14 by Mark Giordano, which was assisted by Freddie Hamilton and Troy Brouwer. Game 2 vs. Winnipeg - When Gulutzan shuffled the lines mid-game and the newly-formed Gaudreau-Bennett-Lazar trio scored a goal (scoring play was Brodie from Stone and Gaudreau). Game 6 vs. Vancouver - Calgary got a goal mid-line change. 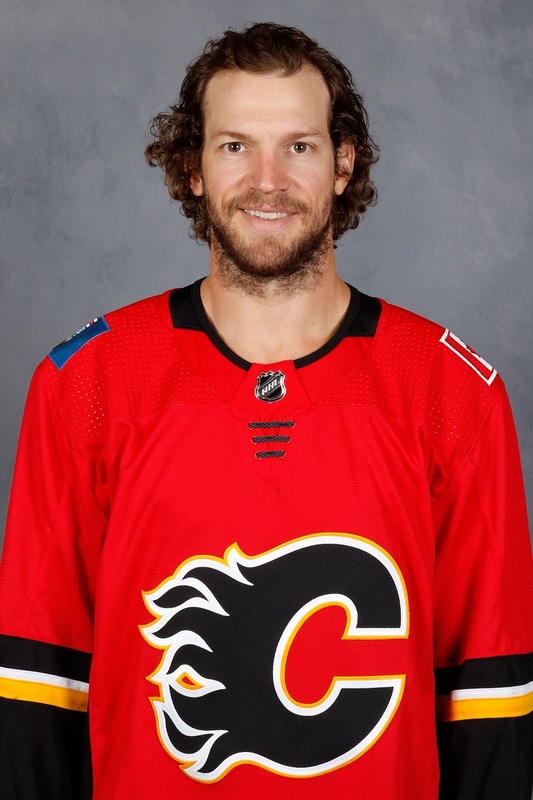 Twelve seconds after Bennett had come on for Backlund and with Frolik and Tkachuk still on the ice, Dougie Hamilton sniped a goal, set-up by Tkachuk. So neither can really be considered a bottom-six goal. The other goal that comes up in conversation as a potential bottom-six goal was Versteeg's tally in the home opener against the Jets. But in the juggled lines that night, Versteeg was on the ice with Monahan and Ferland -- two-thirds of the current top line -- so that hardly qualifies as a bottom-six goal either, at least in my opinion. So while this speaks to how effective those top two lines are producing, it also emphasizes how little they're getting from anyone else. The net of that is they're not getting nearly enough offence. But after a tough night on Friday in which it seemed inevitable that Jankowski was on his way back to Stockton, the Sam Bennett-Mark Jankowski partnership was more impactful on Sunday. This time with Curtis Lazar alongside them, they combined for six shots (compared to one on Friday) and earned praise post-game from Glen Gulutzan. "I thought Janko's line generated some chances. I thought Brouw had a couple good looks, I think Brouw might have had two or three posts. When you're getting those chances, they'll start to go in so that's the best sign," Gulutzan said. "We need secondary scoring but if you look around the league, it seems to be tough these days, but when our guys are getting chances, now at least you know you're moving forward." Setting up an interesting decision for when Jagr is ready to return, that trio saw more even-strength time than the Brouwer-Stajan-Versteeg line. Both are bottom-six, that part we know, but it's been hard to decipher which was the third line and which is the fourth. On Friday, their usage was reversed. Frankly, it it were me, I wouldn't send Jankowski anywhere and I would add Jagr onto the right side, just like how Gulutzan teased the fans on hand at the Saddledome on Saturday for the Red Rally. 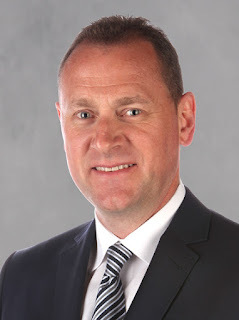 If you're going to demote someone, it seems like the better play is to look at your two most frequent scratches -- Freddie Hamilton and Tanner Glass -- and pick one. It's been pretty much a clean sheet. Jakub Vrana's tying goal in the third period on Sunday night that appeared to leak under his arm or glove and trickle in, is the closest thing I recall to a bad goal allowed by Smith all season. Yet at that, it was still a 28-foot wrist shot from the slot, not a centering pass from the corner. Smith has been consistently excellent. The back-breaking goals against that have been chronic the last few years have not been there at all. Add in another 30 stops for Smith on Sunday and he's on track for one of the best seasons we've seen in Calgary. Now obviously there is a long, long way to go and save percentages are going to be higher this year anyway. With the new criteria implemented for what constitutes shots on goal, an off-ice official told me recently that it will add an estimated 3-5 shots to a goalie's workload each night. But nonetheless, Smith is getting the job done. The other noteworthy thing is Smith is playing a lot. Having started 11 of 12, he's on pace to play over 70 games and only one player in club history has shouldered that much workload. Any guesses? Again, it's Miikka Kiprusoff, who seven times played 70 or more games. Heck, back up the cut-line to 65 or more games and the only name you add to the workhorse list is Roman Turek (69 games in 2001-02, 65 games in 2002-03). The most games Mike Vernon played in a season was 64. Since Kiprusoff departed and the goaltender carousel began to rotate, the most starts in a season was Brian Elliott's 45 last season. Jonas Hiller started 44 in 2014-15. 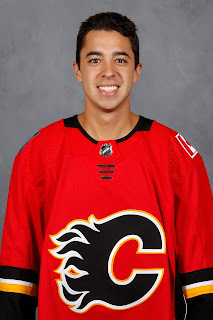 The play on the winner was an electric sequence by Gaudreau, who didn't like what he saw on the first rush so curled back and tried it again, this time spotting Sean Monahan on the doorstep. 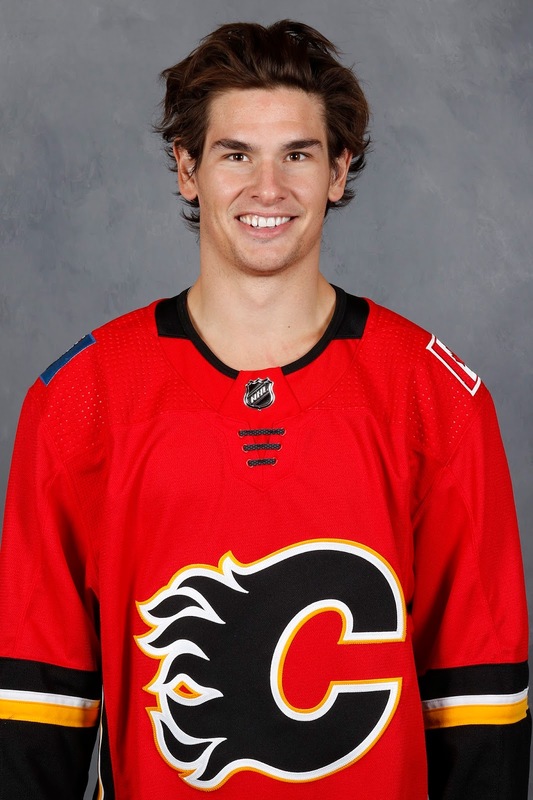 "That’s Johnny," said Monahan post-game. "We see it day-in, day-out. He’s got great hands and he’s got quick feet. He reads the game better than anyone I know. If you get open in a quiet area you’re usually going to find the puck." His two assists gives him a dozen on the season, tied for third in the NHL behind Steven Stamkos (17) and Jakub Voracek (14). It also puts Gaudreau ahead of his scoring pace from past years. If he keeps it up, Gaudreau should be a lock to finish in the top 10 in league scoring. Darren I'm worrying about you as you have not written for almost 2 weeks. I hope you are just too busy and that their is nothing up.